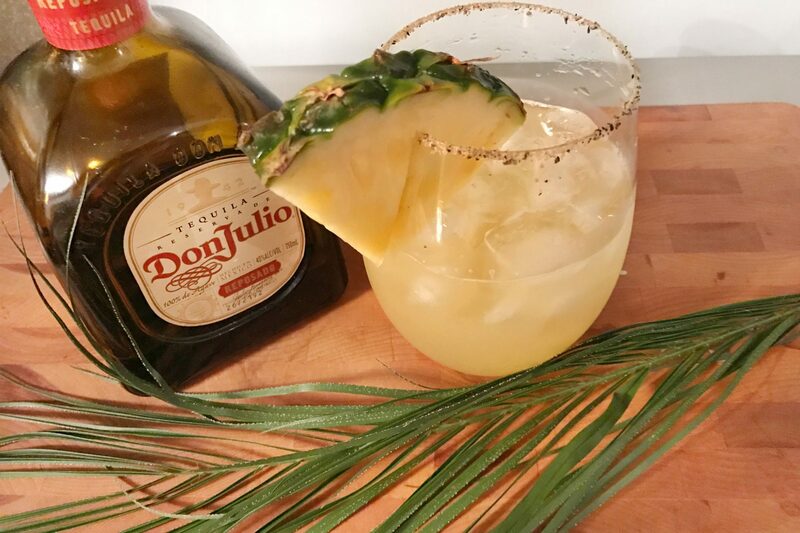 Pineapple and smoked pepper are great friends when they meet in a margarita! The sweetness of the pineapple brings out the smoky spice of our Smoked Pepper and Salt seasoning blend. Start by rubbing the rim of your glass with a pineapple wedge. Dredge the rim in our Smoked Pepper and Salt, and set aside. In a cocktail shaker with ice, combine one part tequila with two parts pineapple juice and margarita mix. Shake to combine and pour into your glass.